Missed the meeting? Watch the recording of the meeting here! LOCATION: Online. Register for the event here. You will receive an email with a link to the Zoom video conference about 15 minutes before the event begins. DigiURI Media Club listens to a podcast! 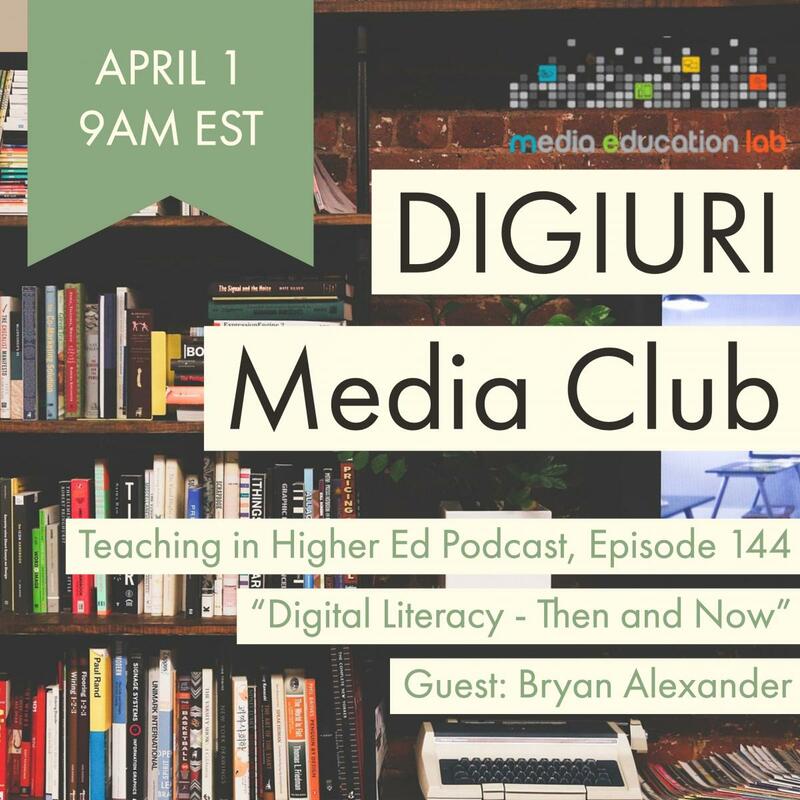 Teaching in Higher Ed, Episode 144: Digital Literacy -- Then and Now. This 40-minute program features Bonni Stachowiak interviewing Bryan Alexander, a digital education specialist. The DigiURI Media Club was developed by Samantha Stanley (University of Hong Kong) and Michael Stoepel (University of Paris).